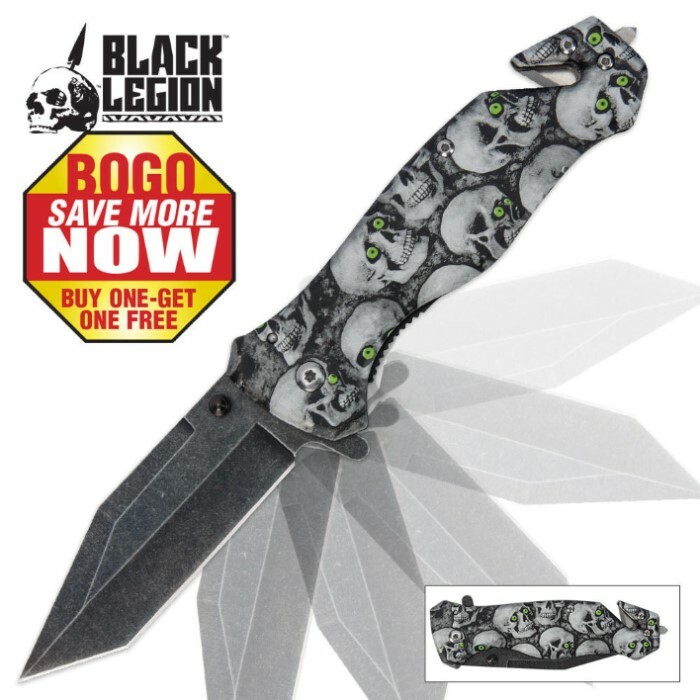 If you are looking for a seriously eye-catching folding pocket knife, then look no further than this spooky green-eyed skull pocket folder! The contemporary stonewash finish of the blade and the skull camo handle pattern will get some attention! The built-in blade spur provides easy, one-hand access to the blade.